Jewelry Landing Page Responsive HTML-5 Template is the perfect HTML template for any Jewelry webpage. 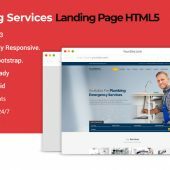 This landing page template is absolute clean, modern, responsive design that will make your content shine. Fast and coded to the highest standards with Jewelry, you can focus on content creation and the theme will do the rest. 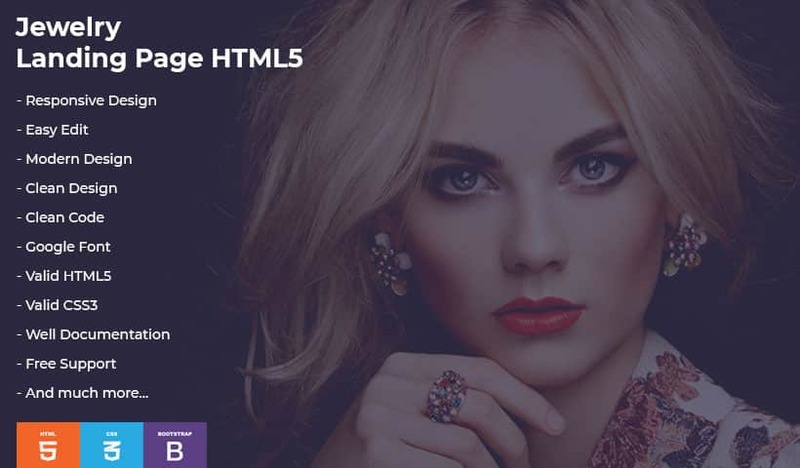 In addition, this amazing Jewelry Landing Page Template is integrated with latest HTML-5 and CSS-3, built with Bootstrap. The theme is built with latest web technologies and SEO optimized to make it friendly with search engines. We Build is the right choice if you want to create professional and truly unique Jewelry Landing Page with ease. Jewelry Landing Page Template is a stylish attractive & responsive Jewelry HTML template. It has a modern, luxury, advanced and functional design created specifically for jewelry designer & handcrafted jewelry online store & expensive rings, necklace, bangles shop. It best suits for online stores offering crafts, artwork, accessories and handmade creative goods. This theme is best for jewelry shops, handcrafted jewelry, Jewelry Designer shop, diamond shop, earrings outlets, fashion jewelry, gemstone shops, necklace, rings etc.